New Hanover County Parks & Gardens is partnering with local healthcare providers to host “Wellness Walks,” a free monthly guided walking program. 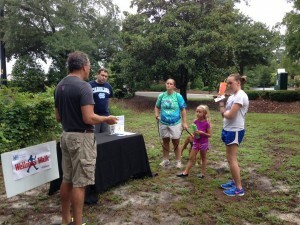 The Wellness Walks will take place at 9:00am on the second Saturday of each month at rotating parks around the county. Each walk will begin with a brief talk on a specific health topic by a professional from our community. The guest speakers will then lead participants on a walk around the park’s walking trail.